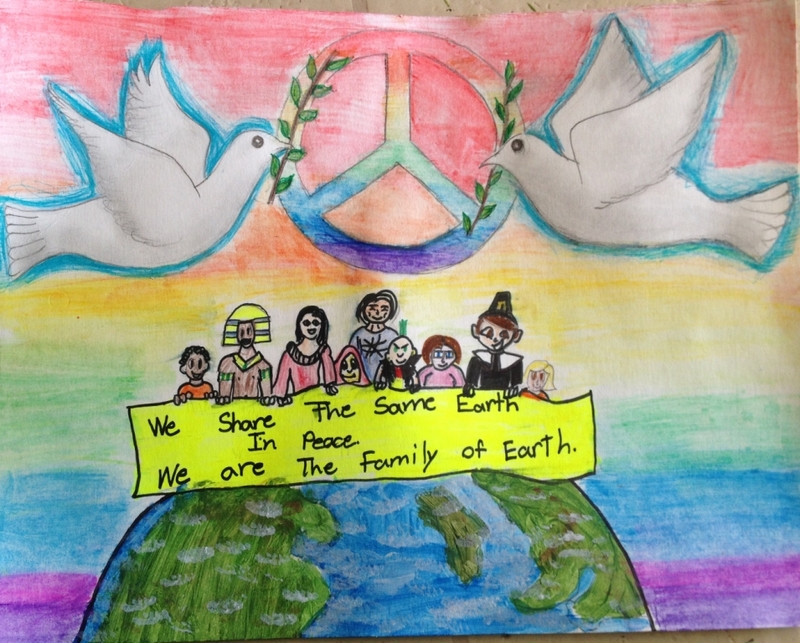 The 2014 Art Contest Winners! 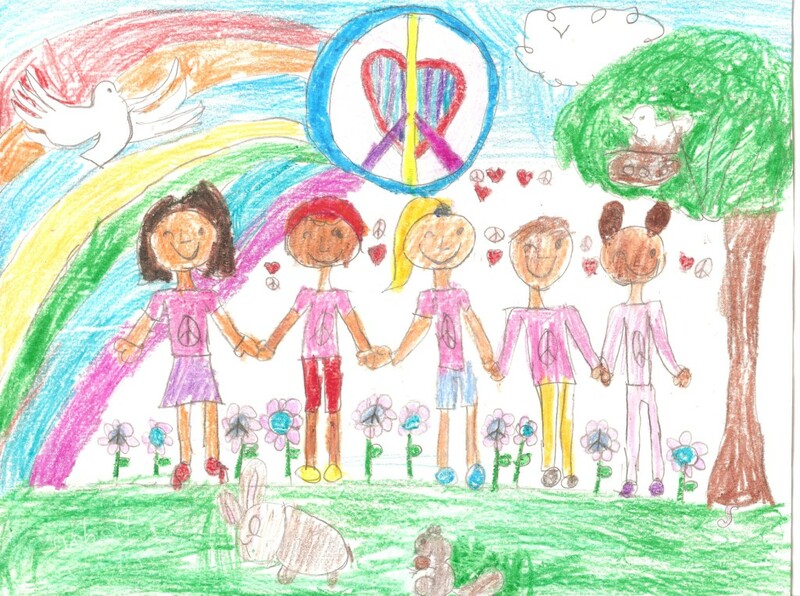 Children learn and internalize stereotypes at a very young age; as a teacher and/or parent you can help open minds and hearts. 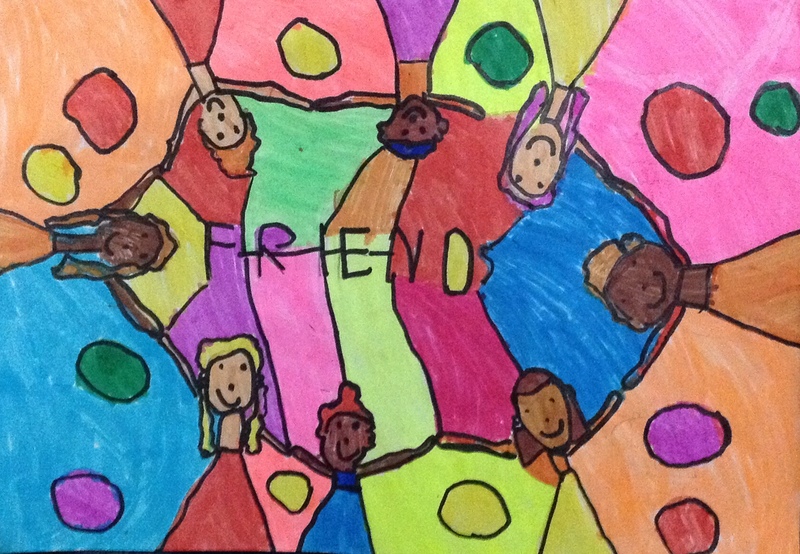 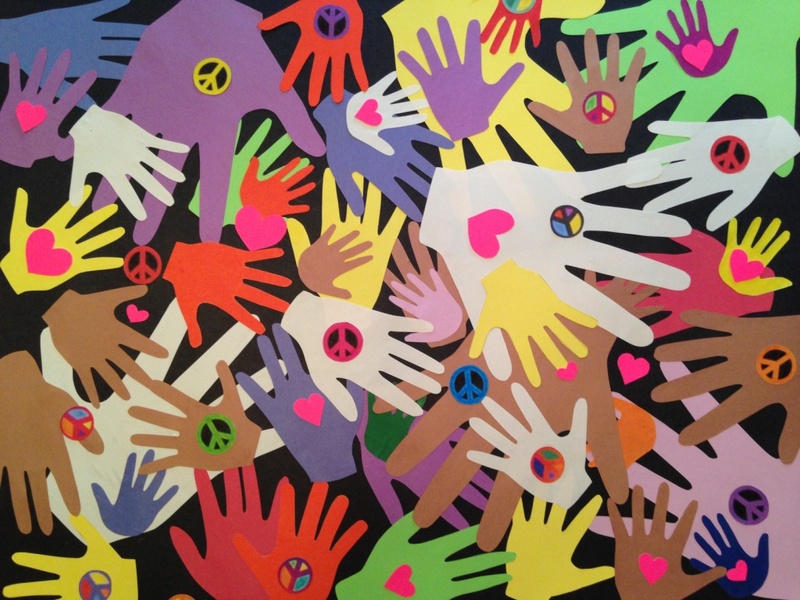 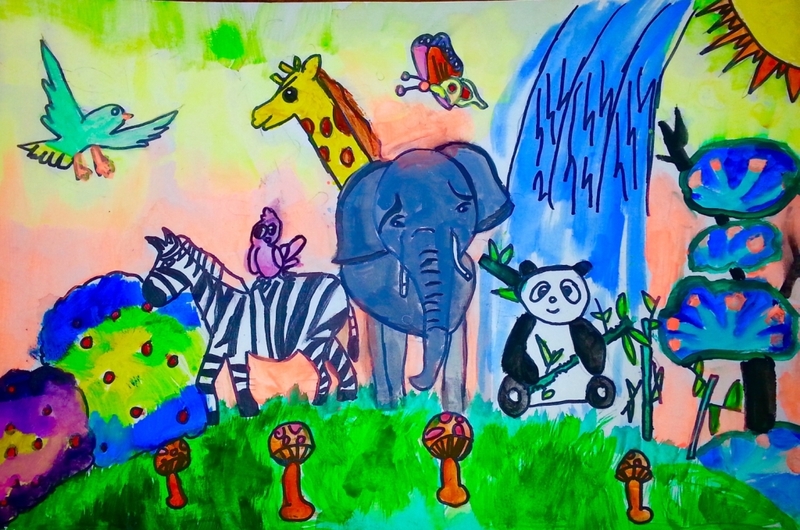 Our theme for this year's annual art contest is "Living Together in Peace." 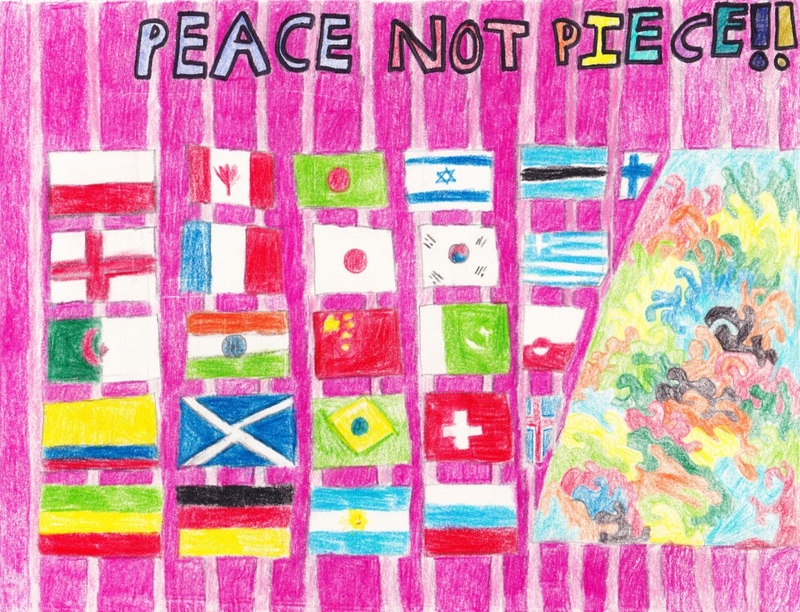 Peace can only come when we learn how to accept and learn from our differences while sharing and celebrating the things we have in common. 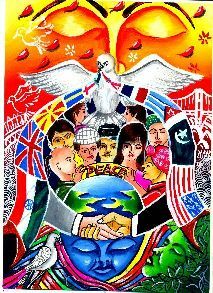 We ask you to let your students or children have a voice in what such a world would look like, for they and their visions are our future. 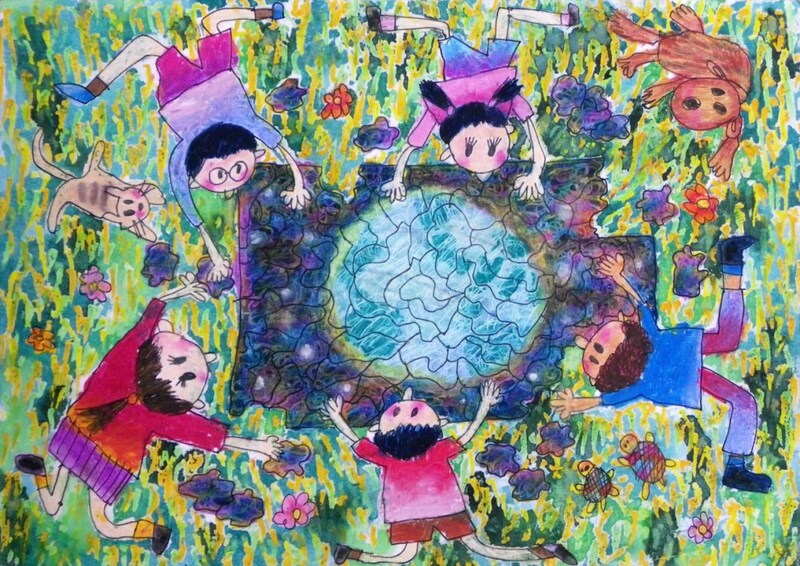 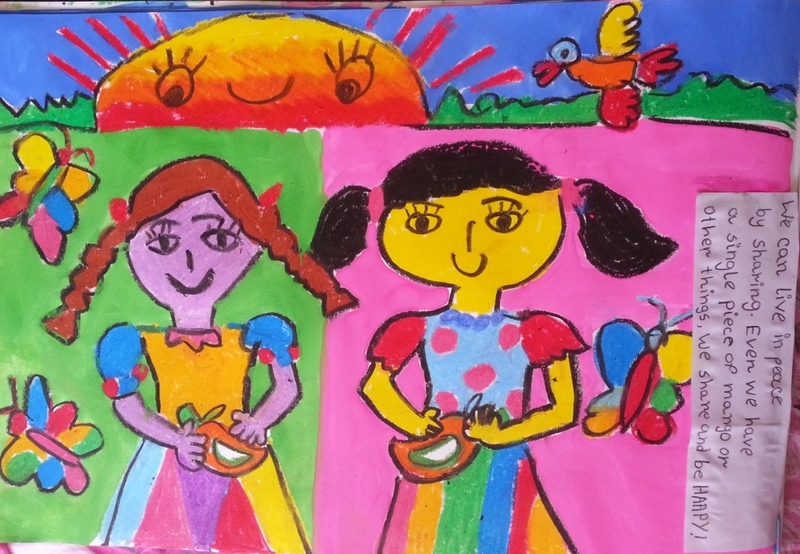 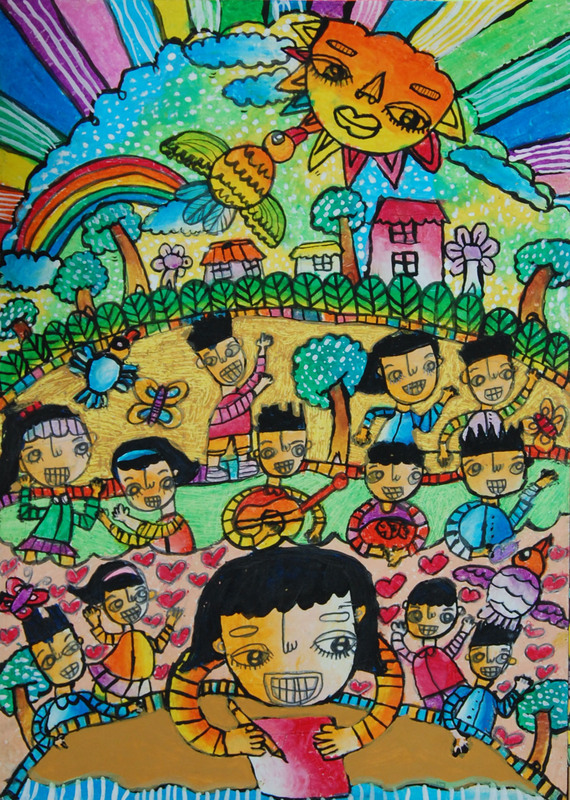 The subject of the artwork entry is to be a personal expression of what "Living Together in Peace" means to the student. 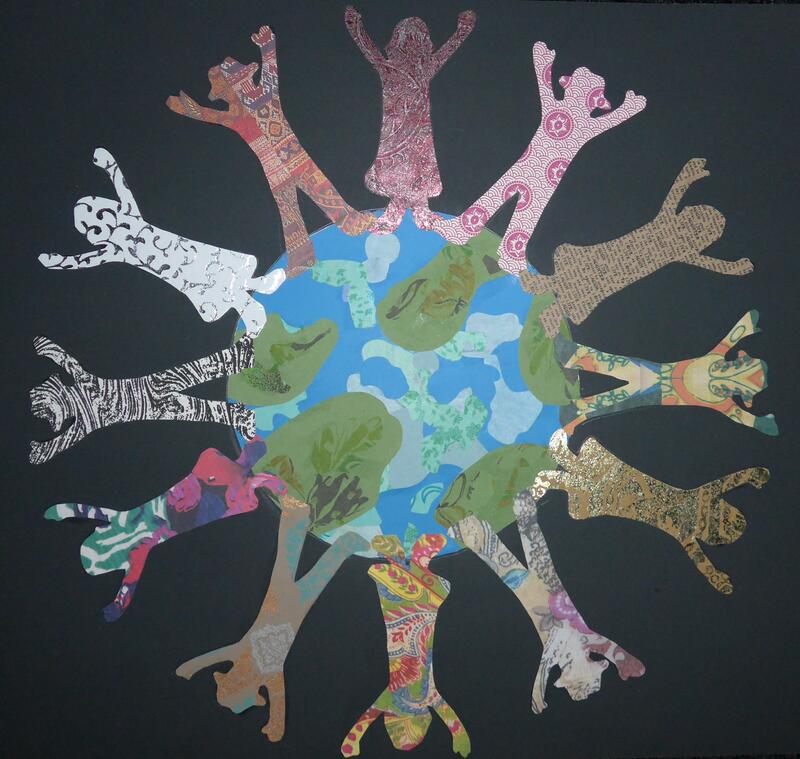 Artwork will be judged on originality of design, clarity of theme message, and artistic merit. 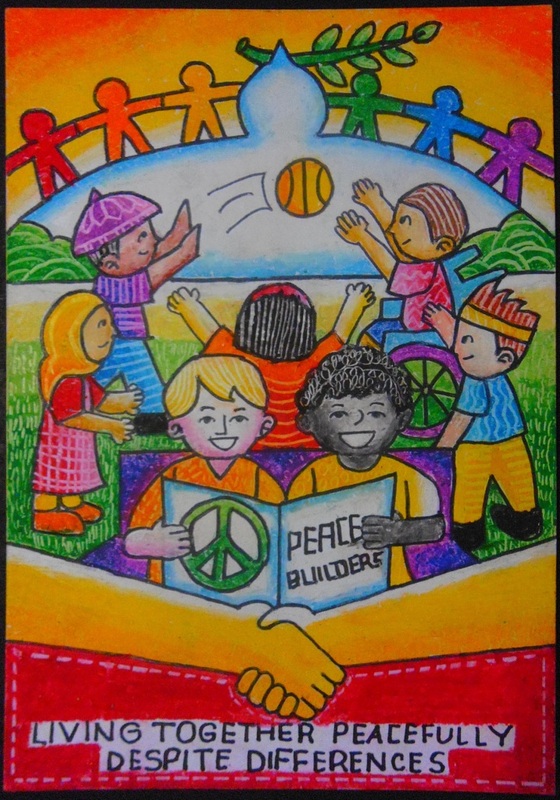 Entries should be emailed to artcontest(at)teachersagainstprejudice.org by October 15, 2014, and should be accompanied by this Contest Entry Form.